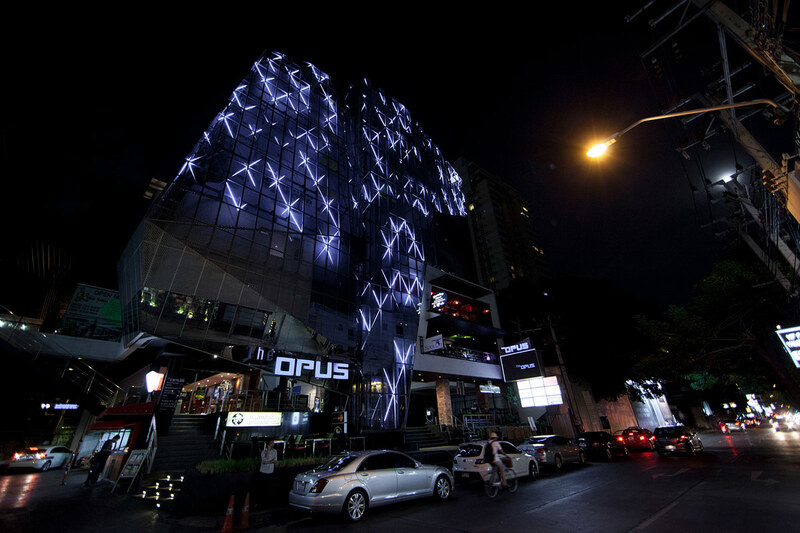 Scalable bright dressing for the Opus building. 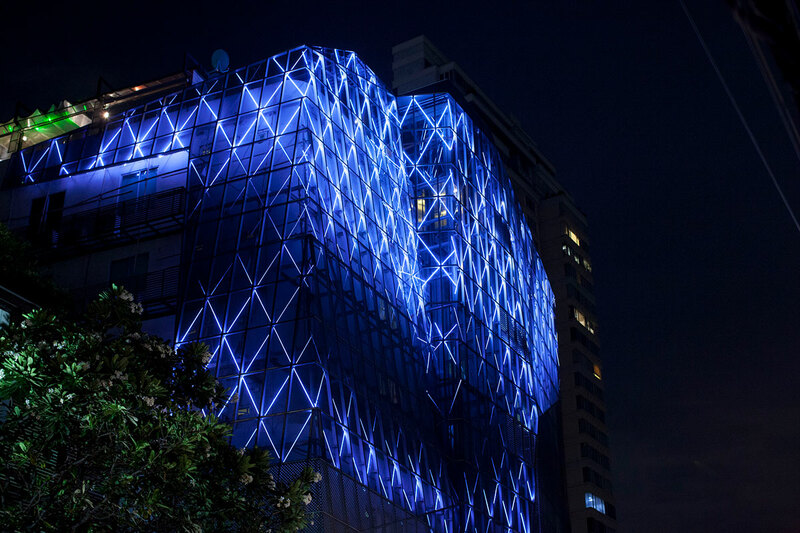 One thousand meters of rgb led tubes provide some moving facade animations at night. 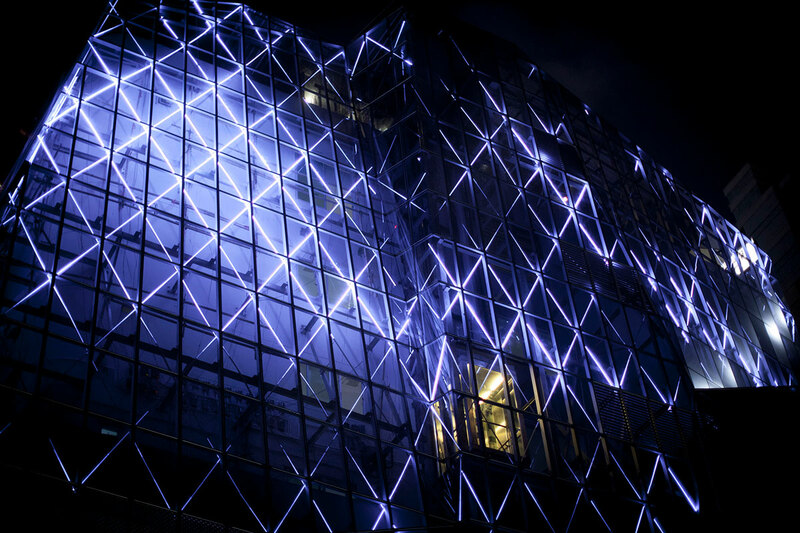 Looking as a light cloud light hides and reveals this incredible multi-facet building.